This was us today! E’s face would twist with the sour juices of rhubarb, but he eagerly went back for more, bite after bite. 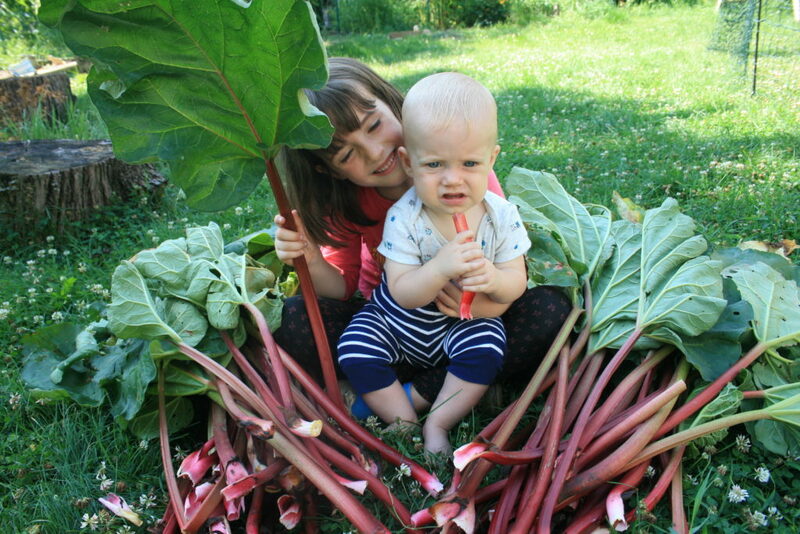 We always have so much fun with our big rhubarb harvest! Rhubarb in July? You might ask. Well, I’ll let you in on a secret – Rhubarb is good for harvest all summer long! If your life is anything like mine, you find your spring season super packed with many garden to-dos, and those exciting first camping trips of the season, and those bee installations, oh yeah, and that newborn! 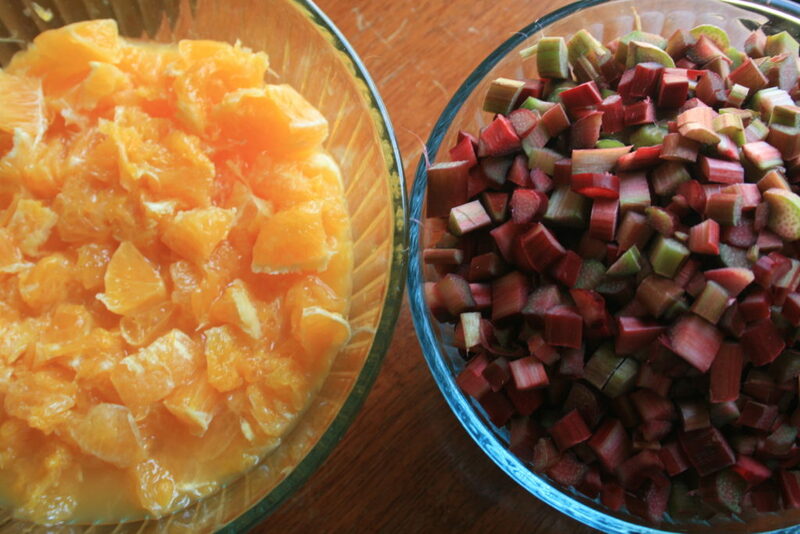 Whew, this spring I had no time for marmalade making, which is what my rhubarb was slated for. 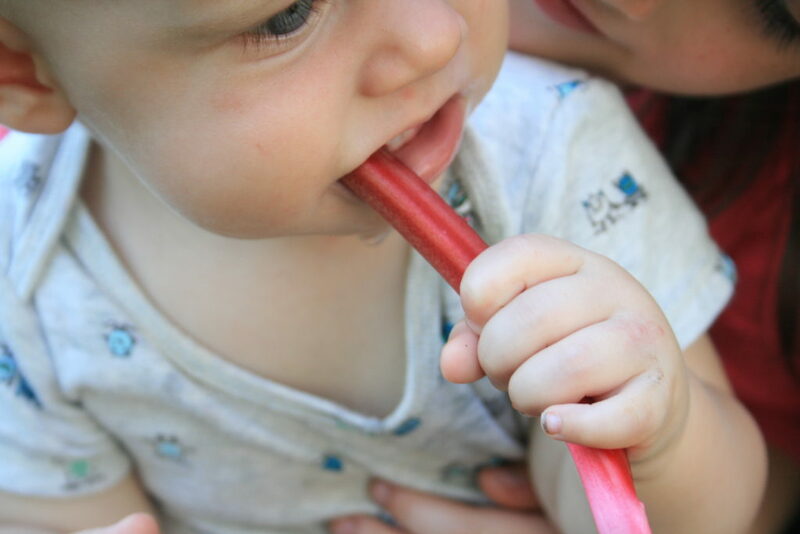 Frozen rhubarb stalks – new teethers for E? I wouldn’t use your summer rhubarb harvest for tender pies or custards; stick with early spring rhubarb for those. When rhubarb is harvested later in the season, it can be more tough. It softens right up in these simmering orange juices, though. 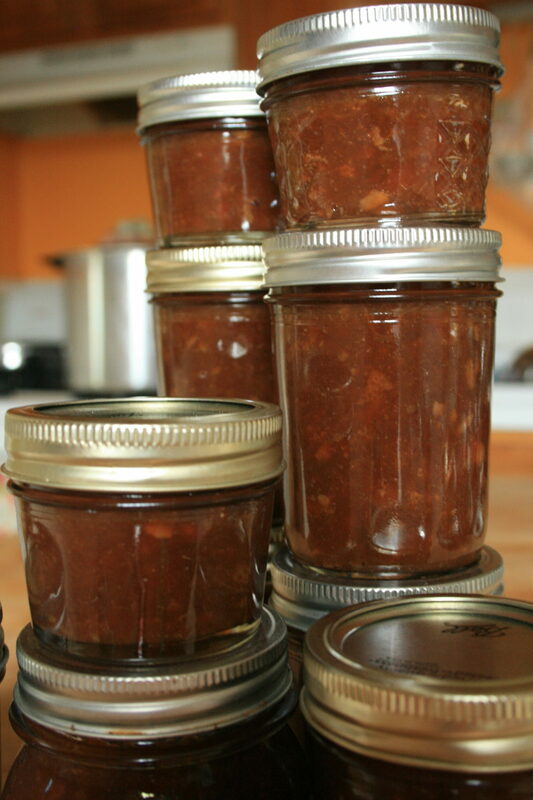 Marmalade is also a great recipe to try if you have any stores of rhubarb in your freezer. Honestly, I’m not a huge jam fan. I prefer warm butter on my toast, but this marmalade is so good, you will come up with ways to eat it! 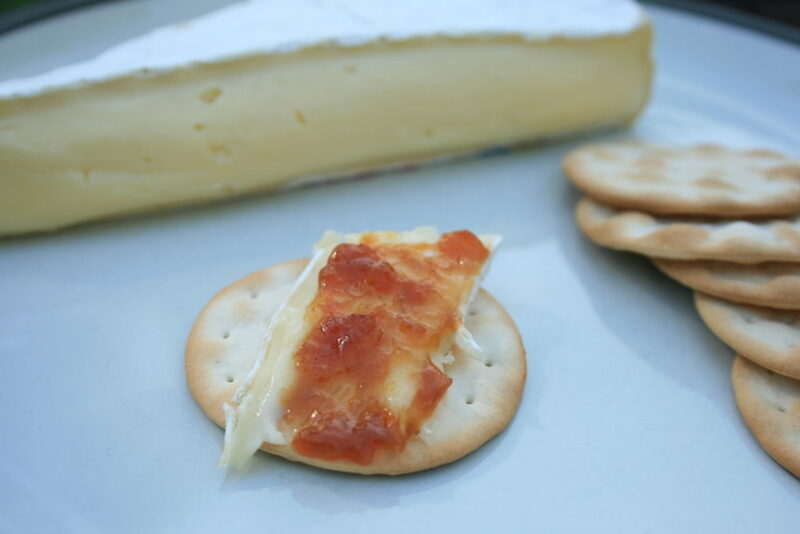 Our favorite is on a simple cracker with brie. 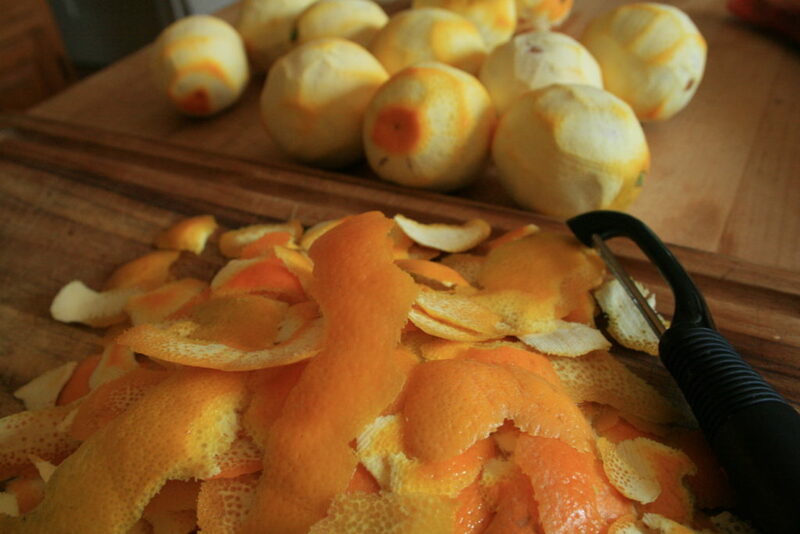 Peel zest off of oranges. Put zest in large stock pot. Add the water and simmer until zest is soft, approx 30 minutes. 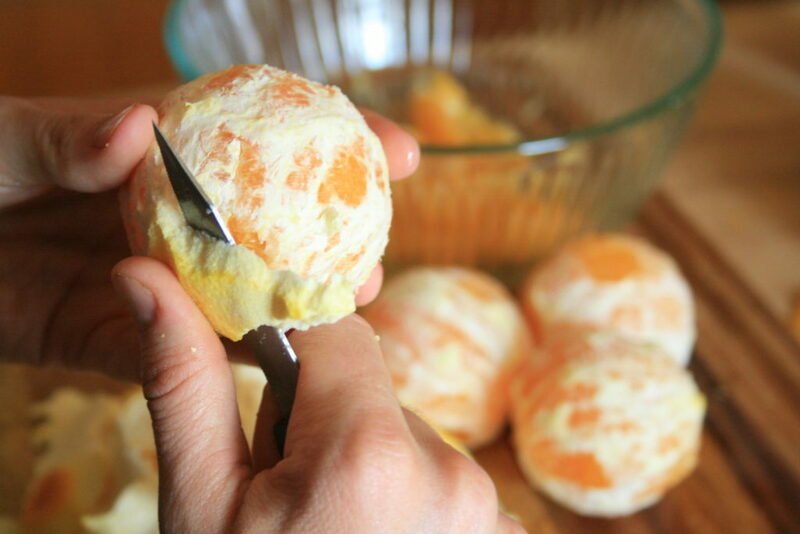 Separate the orange into sections, and chop. Remove any tough membranes and seeds. 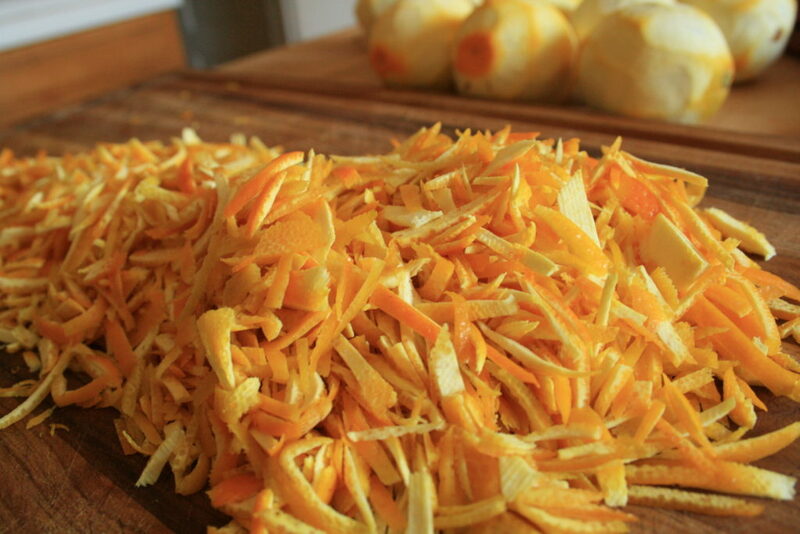 Set aside the orange pieces and its juice. 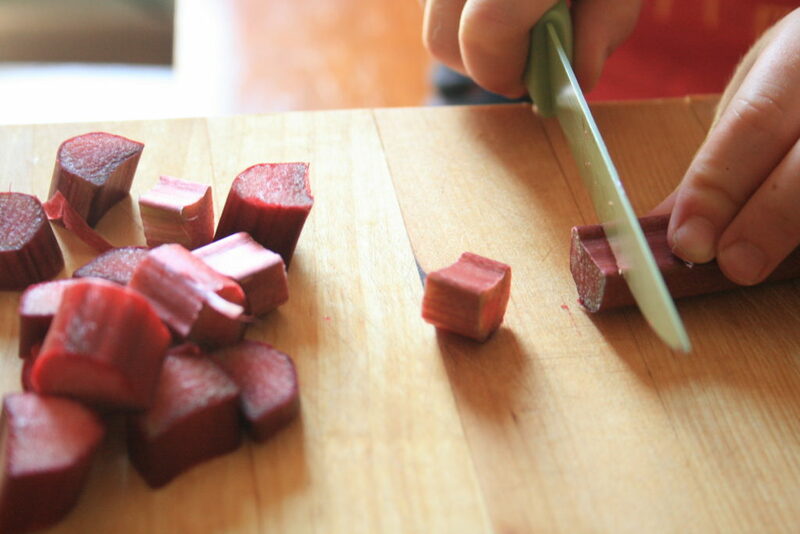 Chop rhubarb into small pieces (or enlist eager helper to chop rhubarb). Add chopped oranges and chopped rhubarb + juices into pot of boiling zest. 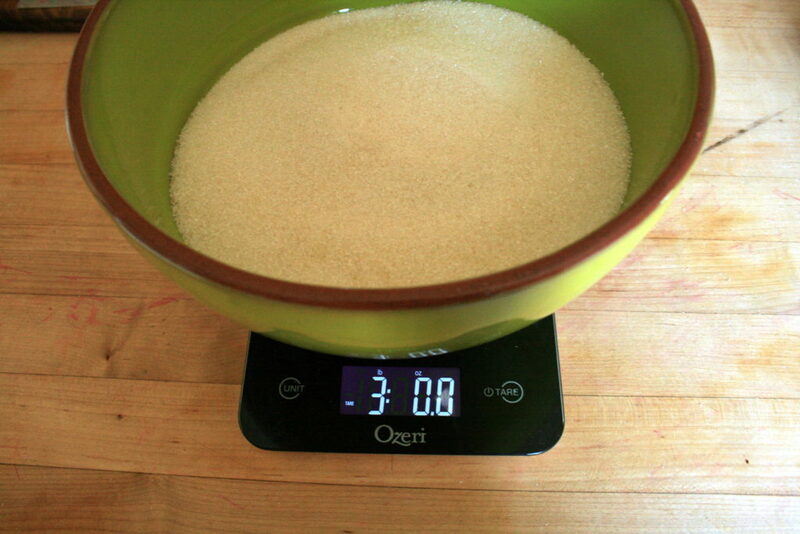 Add sugar to the pot. Bring everything to a boil and keep at a strong simmer for upwards of 2 hours. 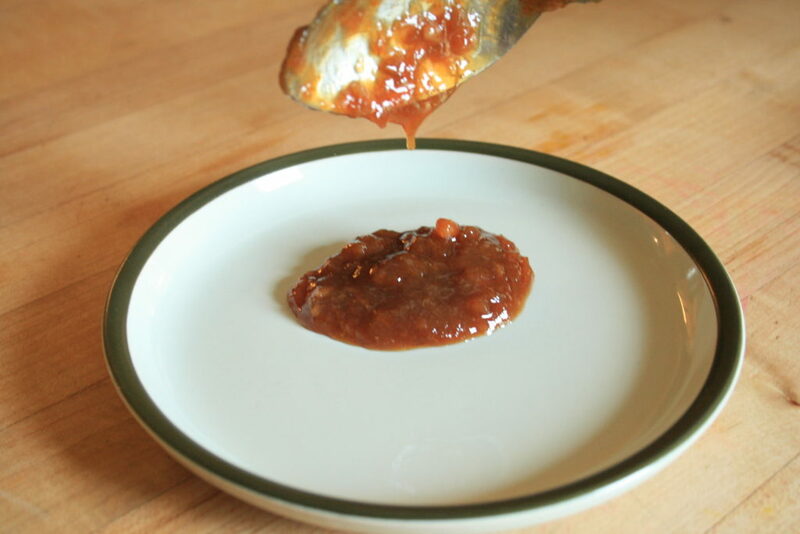 You are looking for the marmalade to “set.” You can take the temperature and consider it done when it has reached 220 degrees, or look for the jam to run off your spoon in a sheet pattern, as opposed to a rain-drop pattern. Process the jam in a water bath for 10 minutes. I hope you enjoy this sweet taste of summer (or should I say spring?) all year long! This recipe made its way into my canning book via this post, with a few tweaks of my own. Sounds delicious! Thank you so much for sharing. 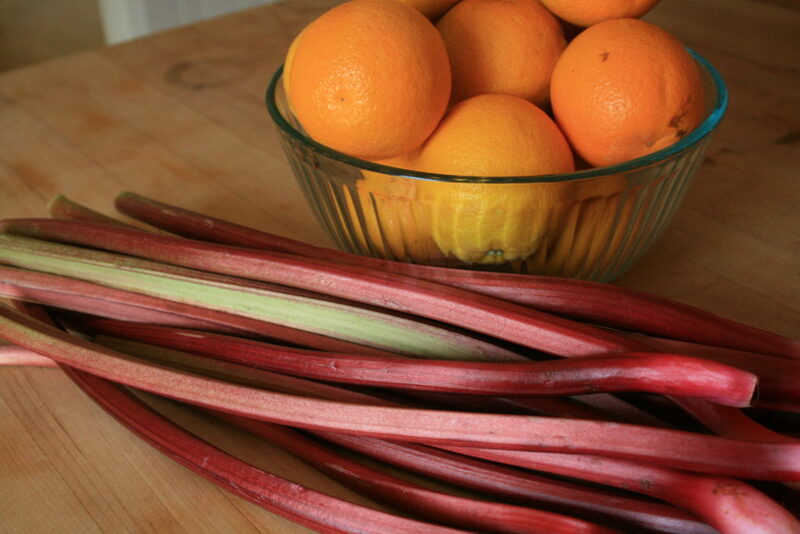 I have lots of leftover rhubarb after marmalade making, so I will try this out! I just found your blog today – a delight. But as a former family childcare provider and always a mother and granny, I cringed at the image of your children with poisonous rhubarb leaves. They are so toxic that an old friend with a rhubarb patch cautioned me never to mix the leaves and the stems. Thanks for your concern. The leaves are not toxic to the touch, and I assure you no one is ingesting them or being left unattended near them. My daughter has been helping to harvest for years, and it is an exciting time for her!